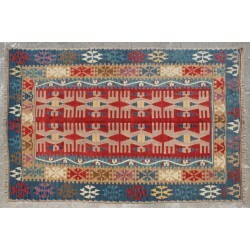 Soumaks are woven using the supplementary weft technique. 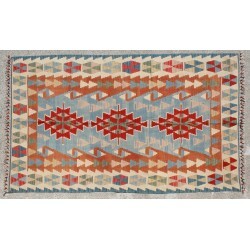 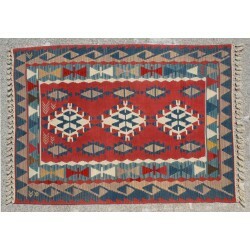 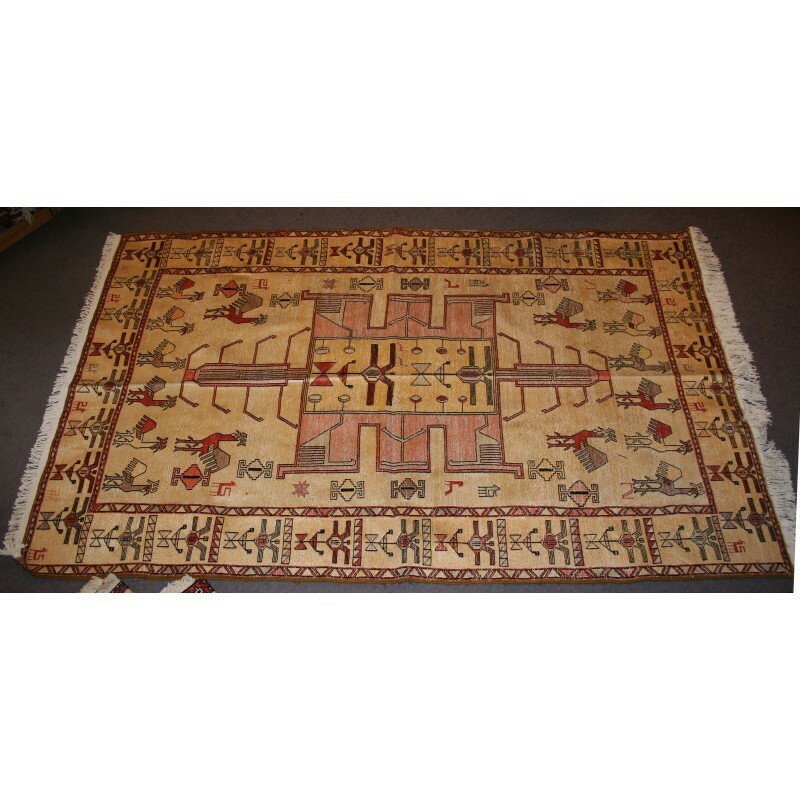 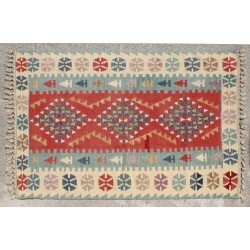 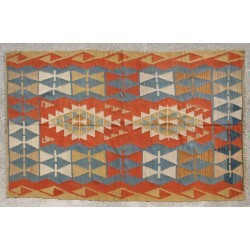 In plain kilims, the horizontal weft threads pass over and under vertical warp threads. 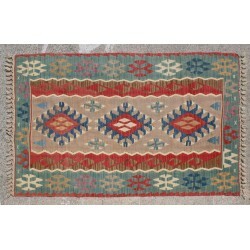 In Soumaks, the wefts actually wrap around the warps--resulting in a thicker rug with a rich embroidered look. 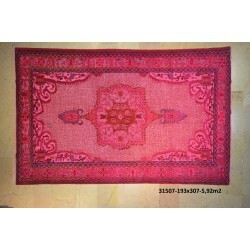 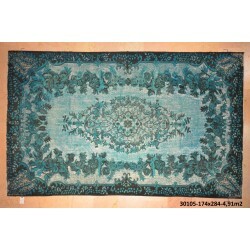 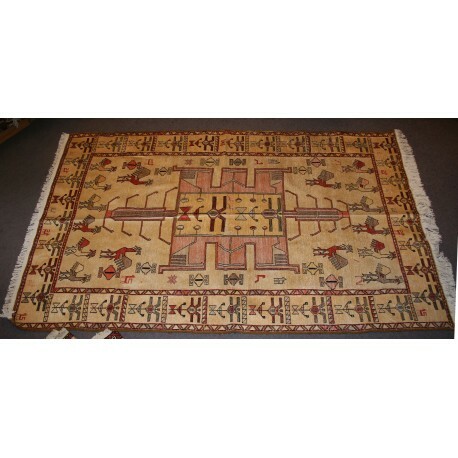 Turkish and Persian Soumaks are both beautiful and durable--a good choice for high traffic areas.